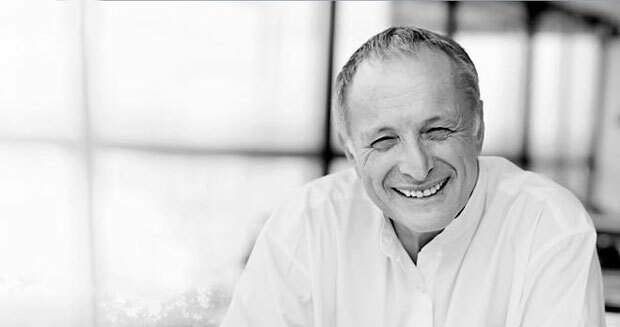 Richard Rogers was an Italian-British architect, best known for his high-tech approach that he described as “celebrating the components of the structure”. His most significant works include the Pompidou Centre in Paris and the Millennium Dome in Greenwich, England. Richard Rogers was born as Richard George Rogers on July 23, 1933, in Florence, Italy. In 1954, he enrolled at the Architectural Association in London, graduating in 1959. And later, in 1961, he joined the Yale University, finishing post-graduate studies in 1962. He then returned to London, collaborated with his wife, Su Brumwell, and another couple, Wendy Cheesman and Norman Foster, and established a firm in 1963, named the Team 4. In 1970, he began practicing with Renzo Piano, and together they worked on the designs of the landmark Pompidou Centre. The steel structure, skeletal exterior clad with tube-encased elevators and bright ductwork were Roger’s contributions, inspired by his High-tech design approach. He gained global acclaim for his remarkable Lloyds of London Skyscraper, a brightly polished mechanistic tower, with a rectangular core surrounded by towers containing restrooms, elevators and kitchens, bordering around a central atrium. His designs on the Pompidou and Lloyds garnered Rogers’s immense success and praise,and firmly established his position as a prominent architect. He began getting offers for other, more prestigious commissions including the European Court of Human Rights in Strasbourg, France; the Channel 4 Television Headquarters in London; 88 Wood Street; an office development in London; and the Daimler Chrysler building in the Potsdamer Platz, Berlin. In 1996, Rogers was knighted as “The Lord Rogers of Riverside” and following year, he received an honorary professorship for the Thames Valley University. In 1999, he was appointed by the Deputy Prime Minister to chair the UK Government’s Urban Task Force. Roger’s most momentous work is considered his design for the Millennium Dome in Greenwich, England. The building comprises of a gigantic polytetrafluoroethylene-roofed structure that can host a variety of exhibition pavilions to accommodate an enormous world fair under one roof. Among his later works, Terminal 4 at Madrid Barajas International Airport has been awarded the Stirling Prize in 2006 by the Royal Institute of British Architects. Rogers has been the recipient of numerous awards such as the RIBA Gold Medal in 1985, the Thomas Jefferson Memorial Foundation Medal in 1999, the Arnold W. Brunner Memorial Prize from the American Academy & Institute of Arts and Letters in 1989, Japan Art Association’s Praemium Imperiale prize for architecture in 2000, and the Pritzker Architecture Prize in 2007. In 1995, he was the first architect to deliver the annual BBC Reith Lectures, on a series of radio talks; that were later published as “Cities for a Small Planet”, in 1997.